At Spring Agora Kraków, so far there will be only one candidate for the position of Secretary General of AEGEE-Europe for the term 2018/19: Monika Mojak. 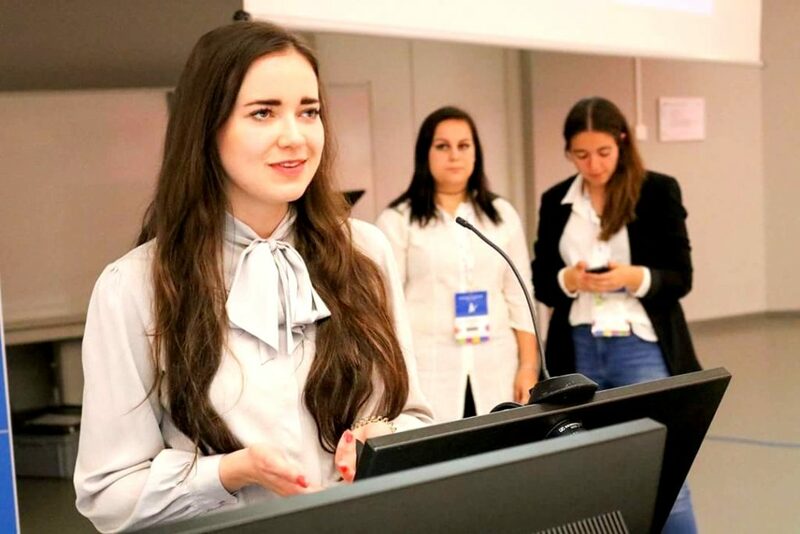 “I have all needed qualities to serve as mediator of the team, be the ‘mother of the headoffice’ and the ‘good spirit of the house’, says the AEGEE-Warszawa member, who is currently President of the Juridical Commission. Gunnar Erth: Monika, how would you describe yourself in five keywords? 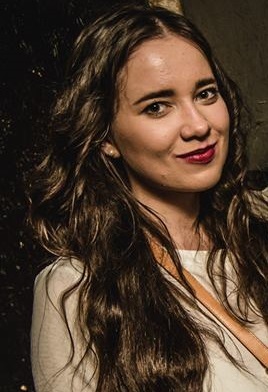 Monika Mojak: Ambitious, cheerful, diligent, empathetic, perceptive. You have a wide range of experience. Why did you pick the task Secretary General, which is by many regarded as less glamourous than External Relations or Network Director? Prestige of the position is the last thing I would take into account when making a final decision. I analyzed every position very carefully, before I decided to run for Secretary General, because for me the most essential was to make sure that my skills and experience will fit well, and I will be able to assure that I can do my job in a proper and professional way. I came to the conclusion that the tasks of Secretary General are consistent with my personality, abilities and interests. Moreover, I think that this function is highly responsible and very important, it demands a wide range of skills and specific qualities. That is why I would not underestimate it in relation to other CD positions. The Secretary General is often regarded as the “mother or father of the headoffice”, essential for the good functioning and conflict solving of the team. Which qualities do you bring with you in this respect? I am very thoughtful, open-minded and responsive person. I care a lot about other people and interpersonal relations. I am also a good listener, who always comes with an accurate advice and reasonable solution. I am discrete, trustworthy and loyal to those, who seek help and support. I usually don’t involve into conflicts, but rather try to reach a compromise in every situation, but when it’s necessary I’m also assertive, firm, and resilient. I have no doubts that I will manage in this field, as I have all needed qualities to serve as mediator of the team, be the “mother of the headoffice” and the “good spirit of the house”. The Secretary General takes responsibility for the Statutory Events in the CD. 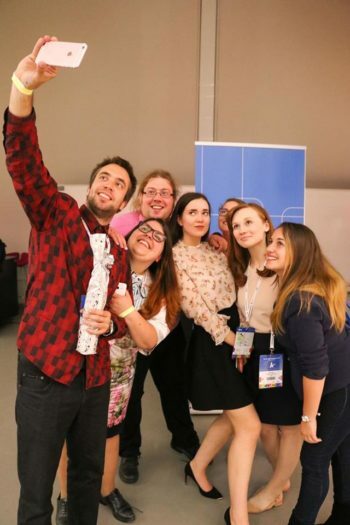 What is the biggest AEGEE event you ever coordinated? I have never coordinated any big AEGEE event, because it demands a lot of time. With the number of tasks that I had in my local as well as in the European bodies, it was impossible for me to take such responsibility. The biggest event I had a chance to organize together with my antenna, was EBM Lublin 2014. 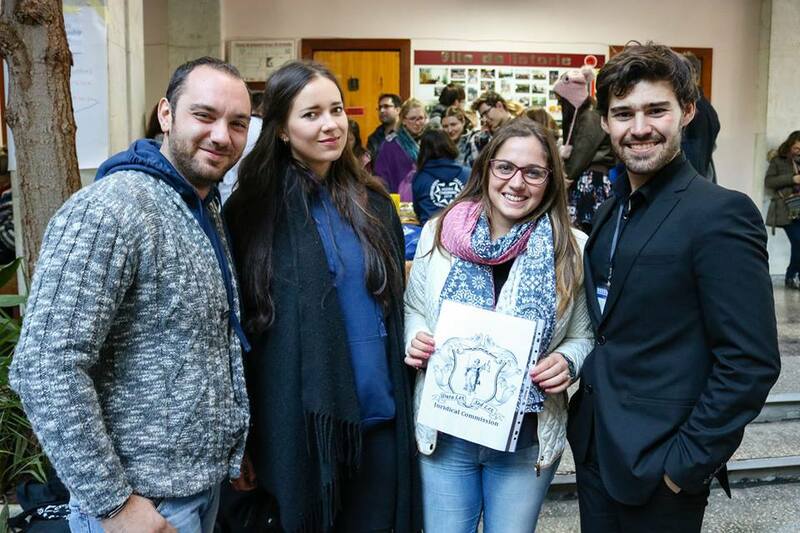 It was my first event in AEGEE and an amazing experience at the same time. I was still a newbie and even if my tasks were rather easy and simple, I learned a lot from my friends. But more expert knowledge about the statutory events came, when my adventure in the Juridical Commission started. During the last two years, I gained a good insight in the preparations and all the proceedings of the Agora. I was also a JC responsible for the Chair Team for the two terms, so I had a perfect opportunity to learn about the statutory events from the wider perspective. Now I am very excited to still be part of it, if I am elected as a Secretary General. You were member of the Agora Refom Task Force. What are your ideas to improve the quality and efficiency of our statutory events? We still focus more on the quantity, not quality of the statutory events. In my opinion it looks better in the case of the EPM. When it comes to the Agora, quantity always has the final word. We have a lot of participants, a lot of proposals, a lot of content – but it does not always go along with the needs and expectations. First, I would think about improving the application form, to not make people copy-paste old motivations, but rather foster them to focus on the event they are applying for. Second thing are proposals that are quite often not worked out enough. The first step to improve it was the “two stages” proposals submission procedure. But the OMS is not adapted to the current needs, so here improvements are necessary. Also, the aim of the new procedure was to boost the discussion about the proposals at the stage of their submission – but we need people to get more involved here. During every Agora it is noticeable that the delegates are often not prepared. It is important to provide them all necessary knowledge about the proposals, procedures and votings, so there is no need to explain everything from the scratch. We are already working on it with the Chair Team. Also, the visitors are not familiar with what is going on, so it’s essential to give them better understanding about at least basic things – the HRC is doing a good job here with their Agora Mentorship Project. I would also put more effort to make the Agora more thematic and focus on the sessions and workshops. Next, I would move more things online. For example, we could save a lot of time on questions lines, if there would be possibility to ask them online. Finally, developing a closer collaboration between the Chair Team, CD, JC and Liaison Office is of the essence. As Secretary General you are head of the administration, therefore also be involved in the implementation of the OMS. Do you have the necessary IT experience and skills? If IT classes in school are enough – yes. Okay, jokes aside. I’m not ant IT expert, but I hope that the knowledge I have will be sufficient. I can always count on the great ITC team and their support, so no worries, we will rock it. The archive of the headoffice is quite a mess. What’s your strategy to give AEGEE better access to a better structured historical knowledge base? First of all, the documents should be organized and then digitalized. Historical knowledge of AEGEE is important, but there is limited information about it online. There are numerous documents that can be very valuable when used correctly. Sources coming from archives can serve an inspiration and useful information for the new projects and initiatives in AEGEE, as well as give better overview about our association to current and future generations of AEGEEans. What is more, we should secure the archives properly, as it is easy to predict what will happen with them with passing time. On the other hand, digitalized system have also its limits, and we must remember about DPPS and the tools to protect them online. It will be a long way to put this idea into practice, but maybe it’s a good time to slowly start thinking about it. You write that you want to be involved in the external representation. 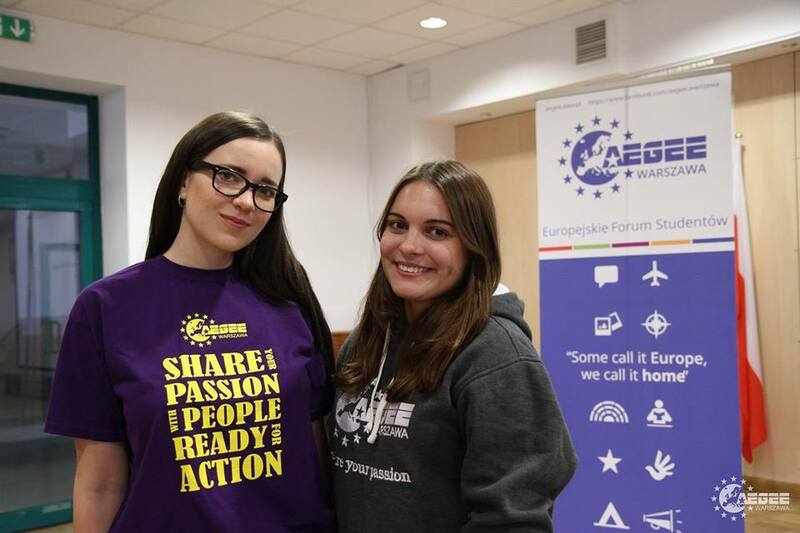 How can AEGEE’s external representation be improved? In my opinion the external representation of AEGEE is developing in a good way. 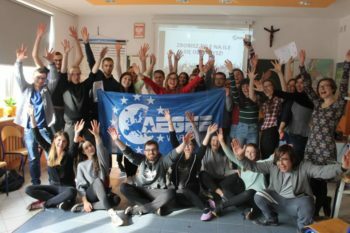 It is important to improve the existing relations with institutions and other youth and non-governmental organizations, as well as establish new, stable contacts and partnerships, and build AEGEE as an important and strong partner for other entities. Launching joint initiatives with other associations, giving our members more opportunities to activate internationally and create a career service office, all this could serve as the main source of information for those, who are interested in internships and job offers in international institution, NGOs and so on. You have already quite some professional work experience. Can you assure that you won’t resign when you get a good job offer? On one hand one year is not a lot. On the other hand, it’s still nice to spend this time in a good way. I will have the whole life to develop my professional career and get enough good job offers. Volunteering can give you a lot, much more than any other job; and if I have such a chance to do something that I really like and what gives me satisfaction, I know that this year of my life will be used wisely and rightly, and then I don’t regret any job that I might reject. What goes around comes around, as they say. You have impressive interdisciplinary knowledge in the field of social, economic, legal and political science. But since you are in charge of the house: can you also fix a sink? How good are you with practical tools? I am a lucky person, because the sink in my house has never been broken, so I cannot tell now how I handle it. But in case I will live in the CD house and the sink is broken, I promise to update you how is it going with fixing it. About other practical tools… I am probably better in baking cookies than in fixing broken things, but I can assemble furniture by myself, hammer nails or change the bulb for example, so I hope I will pass the test here. Question 1: Based what happened within CD55, how would you prevent resignations within the team? Monika: It’s important to have a good leader or a person, whose skills and qualities will help to prevent arising conflicts inside the team. A person who knows, how to talk with people and how to keep a balance between diverse personalities. Working and living together in the same place is usually not easy. That’s why I believe that a good team-building in the beginning, as well as working towards a healthy atmosphere, mutual trust and understanding are crucial here. I would introduce regular feedback sessions and focus on establishing a good communication between all the CD members. All the problems should be notified as soon as they arise, and not when it’s too late to fight with the fire. It’s of the essence to identify the source of the problem as quickly as possible and try to fix it. Moreover, everyone should have the feeling that he or she can count on others and all the issues should be resolved together. Once I read a very wise sentence: “Let’s not forget that there is you and me vs. problem not you vs. me”. The CD members must remember that they all play in one team and they shall support each other. The best way to get out of any crisis situation is to achieve the right level of communication. In other words: talk a lot. Also there is also the possibility to get to know the situation from the point of view of a completely impartial person, for example a mediator. Here I would also maintain a regular collaboration with the MedCom, as in the past they used to provide some sessions for CD, to improve communication and help to build a strong team. Question 2: How do you plan to solve the fact that none of the current candidates speaks fluent French or Dutch, as these are crucial languages when it comes to bureaucracy in Brussels? Monika: I was aware from the beginning that speaking French or Dutch is essential in Brussels. As far as I know, there are candidates that have some level of French, I personally also learned this language in the past, but haven’t used it for a long time. If I’m elected, I am going to sign up for an intense French course, and even if it’s sounds insane, as I won’t have much time to achieve advanced level, I believe it may still be helpful. Moreover, I can count on the help of a person that graduated in French philology and will serve with assistance or advice if necessary. I am sure that even if there are some language limitations, we can find one or another way to deal with it. Question 3: What do you think about the Antenna Criteria proposal proposed by CD? Monika: As I am still a member of the JC, I shall stay neutral and avoid giving my personal opinions about the proposals, but rather provide legal assistance here. Moreover, the JC was working closely on the final shape of the Antenna Criteria reform together with the CD, and because all the proposals are still in process, I would like to prevent any potential influence on this one, as well as any other proposal. I am aware that this answer may not be satisfying enough, but I hope you will understand my position.